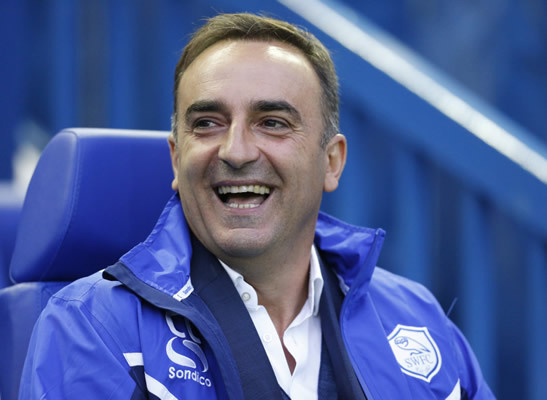 Carvalhal was sacked by second-tier Sheffield Wednesday on Christmas Eve, but Swansea surprisingly chose the Portuguese coach to replace Paul Clement, who lost his job on December 20 with the club languishing at the bottom of the Premier League. The Welsh club said Carvalhal’s contract included the option of an extension at the end of the season. “We felt we needed to get the managerial situation resolved as soon as possible and while the timing is not always perfect, we can look forward to the second half of the campaign with renewed optimism,” Swanseachairman Huw Jenkins said. To convince Swansea to keep him beyond this season, Carvalhal might have to save his new club from relegation. They sit five points from safety and bottom of the table with no wins in their last four matches after a 5-0 thrashing at Liverpool on Tuesday. Carvalhal is Swansea’s fifth permanent manager in two years and his move to the Liberty Stadium might not inspire much confidence from the club’s frustrated fans. He led Wednesday to the Championship play-offs in the last two seasons, but lost his job with the Yorkshire side after an eight-game winless run left them well outside the top six. Jenkins is confident Carvalhal can rescue Swansea, saying: “We are very pleased with the appointment. “Carlos’ time at Sheffield Wednesday, which included securing two consecutive play-off places, highlighted that he has great character and personality to lead the squad and the football club, which is vital at such a crucial time,” Jenkins said. Leon Britton had been working as a player-caretaker manager, but Carvalhal hasn’t announced if the long-serving Swansea midfielder will stay on the coaching staff.